Caffeine In Diet Pills - Can It Help You Lose Weight? There have been a wide variety of claims made about the benefits of caffeine for weight loss. This is not only because there are a large number of forms of the ingredient, but also due to the complexity of its effects on the body. 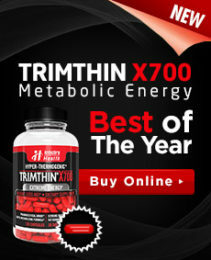 Among the various types of the ingredient that are used in diet pills include regular caffeine, 1,3,7-trimethylxanthine, caffeine malate, and caffeine anhydrous. When deciding whether there is a form that is appropriate for your use, there are many factors to be considered, so it is recommended that you visit your doctor to discuss your options and whether or not these should be among them. A study* published by the American Journal of Clinical Nutrition found that caffeine can be very useful in assisting dieters to lose more weight than would be achieved without the use of the substance. Though the impact is not a tremendous one, when used in moderate levels, it can be handy for boosting weight loss efforts that are already being made – that is, a reduced calorie diet and increased exercise levels – so that it is used as a dieting aid, and not a diet plan unto itself. When used in the right doses, these effects can be achieved with little to no side effects, because its effects don’t improve by taking very large doses. This means that it’s possible to enjoy weight loss benefits from caffeine without having to take so much that it causes the side effects associated with stronger stimulants. Consuming caffeine helps with weight loss because it can increase the basal metabolic rate. This means that calories can burn a little bit faster, meaning that they have less of a chance of being stored as fat on the body. It also means that even while resting, sitting still, or being otherwise inactive, the body is still burning a higher amount of fuel than it typically would. 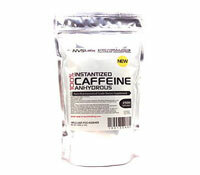 Moreover, caffeine can help to increase mental alertness. This is a vital element to maintaining motivation throughout a diet, which can be very challenging for many dieters, especially when there is a large amount of weight that needs to be lost. The increased energy levels that can be provided by caffeine can be very helpful for boosting a dieter’s ability to keep up with exercising and powering through workouts. A common complaint among dieters who are eating fewer calories is that they struggle with fatigue because they aren’t providing their bodies with as much energy. This ingredient helps to replace those missing energy levels without the calories that would usually provide them.